What could be a great option for someone have retired like you, who'd like to try something different, something more fun and exciting maybe? How about going for an active travel experience? "Boy, when I retire, all I'm going to do is lie around in a hammock all day" – this is probably what you have said and thought about all these years while working your way through life, but now that you have retired or planning to retire, do you really find the concept that satisfying? The answer could be no. So what could be a great option for someone like you, who'd like to try something different, something more fun and exciting maybe? How about going for an active travel experience? Just that you may need to hit your nearby gym at least twice a week, or ask your yoga teacher for classes immediately. Travel experts prefer classifying adventure tourism in two categories- "soft" or "hard" (also called "gentle" or "demanding"); but don't get caught up in these jargons. Make up your mind as to whether you would like to go kayaking, mountain climbing, biking, motorcycling or would you prefer enjoying the blue ocean in an obscure island in Phu Quoc, Vietnam. Once you've made your choice, you can begin your research by browsing through websites and on-line travel agencies that will help you pick the right tour package. 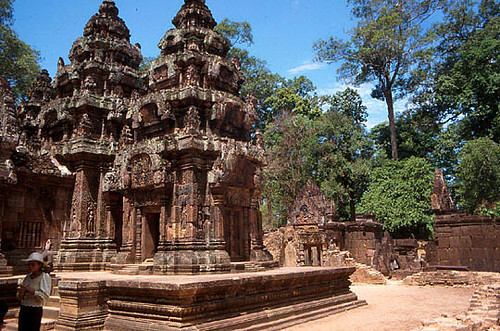 ActiveTravel Asia is one of names that has been organized more adventure trips for American Veterans travel to Vietnam war in the past from 2006. 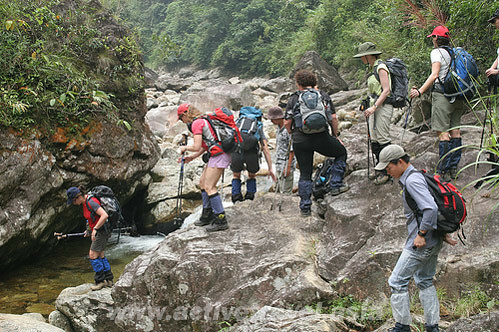 From motorcycling tours on Ho Chi Minh Trail to trekking trips in some ethnic villages of Sapa, Vietnam, they offer tour packages in Indochina.